A bread toaster is an electric appliance that uses heat to brown bread, making it firmer with little or no crumbs. You place a bread slice in a slot on the bread toaster, set how brown you want it, push the lever down, and when done, it will pop-up. A bread toaster makes bread more delicious. If you have buying a bread toaster on your mind, this article will show you how to buy a bread toaster. Now let us consider the key decisions to make when shopping for a bread toaster. The slot on a bread toaster is where you place the slice of bread before you start toasting. The number of slots on a bread toaster determines how many slices of bread you can toast at a time. A two slot bread toaster will toast two slices at a time. However, there are bread toasters that can toast two slices in one slot. Bread toasters come in varied number of slots with 2-slot and 4-slot toasters the most popular. The number of slot on the toaster you buy depends on the use. For domestic use (home use), a 2-slot toaster will be appropriate. However, if you have a large family there is no harm in buying a 4-slot toaster. If you are buying a bread toaster for commercial use like for a restaurant, you should buy a bread toaster with 4, 6, or more slots. 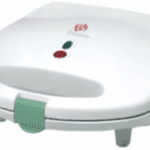 Some bread toasters also allow you to control each slot or slot-set independently. Checkout best kitchen appliances and best cooking appliances for your home. The number of slots on a bread toaster is the most important decision to make when buying one. 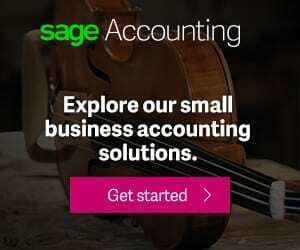 However, there are other features to consider. Most bread toasters now come with some of these features, but not all will feature all of them. So, if you want any of these features confirm that the bread toaster you want to buy has it before you buy. This is a fairly standard feature these days. It enables you set at what stage in the browning process you want the toasting to stop. You can choose from light brown to very dark brown, whichever you want. A bread toaster with the defrost function makes it easy to toast frozen bread. With this feature, the toaster will defrost the bread first before it commences toaster. Remember to press the defrost button on your toaster as well as the browning setting. A bread crumb tray makes bread crumbs removal and cleaning up after toasting easy. While bread crumb trays are now a standard feature on bread toasters, they now vary in their ease of use. Some require more manual effort to access while others are very easy to slide out. This feature is available in newer and high-end bread toaster models. It enable you pause the toasting process and popup the toast at any time to check how brown it is. If you still want it to continue toasting, you can just push the lever down and the toasting will resume exactly where it stopped. The reheat function enables you warm your toast if it is no longer warm. It comes handy if your bread toast pops up before you need it. You can use the reheat function to keep it warm. Ideally, the reheat function warms the toast without further toasting/browning. A bread toaster with countdown function will show you how much time remains before the toasting process completes. Some will beep when the bread toast is done. Bagel function enables you brown just one side of the bread. The price of bread toasters vary widely. Price can range from as low as 5,000 Naira to more than 12,000 Naira in Nigeria depending on the number of slots and the features and versatility of the bread toaster. 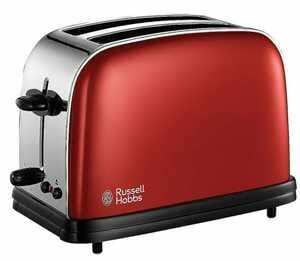 In Nigeria, you can buy bread toasters from Philips, Panasonic, Russell Hobbs, and other leading brands. There goes the guide, if you have more tips about shopping for bread toasters, please add it as a comment. I will like to hear from you. Note that the point of this article is not to teach you how to use your bread toaster, but to guide you on how to buy a bread toaster. To learn how to use your bread toaster consult its manual.